A port of the original mod from oldrim. This is a port of nevenbridge81's Natural Eyes for Skyrim Special edition. All credit goes to nevenbridge81. All races are covered including vampires. 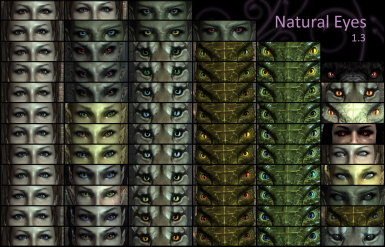 These are only texture replacers so they're not compatible with other eye mods that change textures. Eye Normal Map fix SSE. 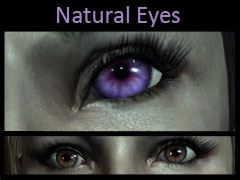 Install after Natural Eyes SSE and let it overwrite if asked.